Now I’m not really sure if I can consider it cheating since we have such an open relationship and heck I’m a married woman after all. But my beloved has made his way into the hearts of what seems to be lots of different women. Of course I expected this would happen with someone so hot, yummy and readily available as he is. But it's still not easy to handle....I want him all to myself. So how do I know he's cheating? Well it’s all over the internet. The girls are swooning over him everywhere. I can’t log on without seeing a post about his irresistibleness. Facebook is loaded with photos of him and I’ve even seen a twitter stream or two. Does it bother me? I’d be lying if I said it didn’t. How dare they enjoy him when I’m not. But one thing’s for sure, when I do get to have him, it's always nothing short of amazing! Maybe I need to figure out how to make more time for him in my life; so he won’t stray. Or maybe I just need to let the others enjoy him and hope he doesn’t break my heart. Preheat oven to 350 degrees. Butter and line the base of an 9 inch round pan. Sift flour, baking powder and cinnamon. Add to butter mixture alternating with milk. Pour half of the mixture into the pan, spread it level, then swirl in the Nutella. Top with the remaining batter. touch and springs back when lightly pressed (cover it with foil if it start to brown too quickly). I am submitting this to World Nutella Day being hosted by Ms Adventures in Italy and Bleeding Espresso be sure to stop by their blogs for tons of yummy Nutella recipes....just don't tell me about your rendezvous. Ha, ha! Too funny! 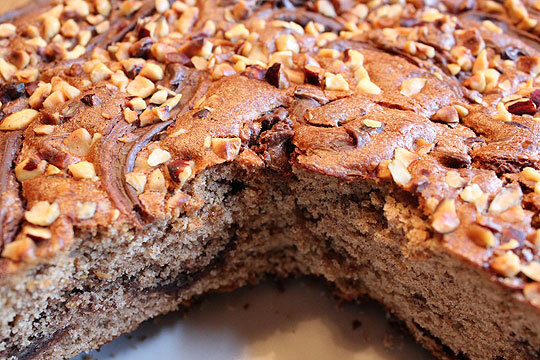 This cake sounds so good. Nutella and cinnamon? Be still my heart! This cake sounds amazing! I wouldn't ahve thought to pair cinnamon with nutella, but why not! I love this post-- I love Nutella and I love U for being so cheeky! 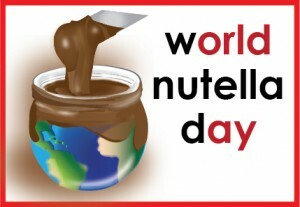 I also read another blog about nutella day this last day and its also this great as your good job. easy directions i think i can make one of it.